Born in Naples, South Italy. Started to learn music, classical guitar from very early age. Had a career as professional by playing with famous artists of Naples in his teen age. Then, tried to play not only at Naples Folk music but Jazz, rock, Latin and other music genre. 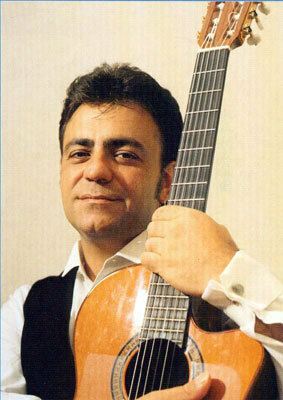 While he keeps performing as guitarist in Naples, he started to perform as solo guitarist and vocalist. And he left Naples and toured to Europe, Middle East and Latin America. Then came to Japan where is now the base of his activity. Nello Angelucci has a wide range of repertory of Italian canzone, especially Naples Folk and sang the songs in Spanish, English and French as well. Regarding playing guitar, he has also versatile repertory like Latin music, Screen music, Argentine Tango and Flamenco and so on.